Do we sit at our master’s feet and guard against having ideas of our own? He did not wish to found a school or establish an institute. Rather, his interest was largely the attempt to understand the psychological background of religious experience. 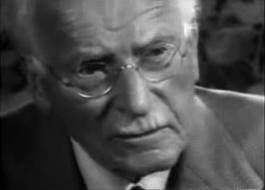 The question being addressed by eminent Jungian Analyst Mario Jacoby is: What is Jung today? Where do we stand today in connection with his genius? Jacoby belongs to the generation of analysts trained by Jung’s closest colleagues (Marie Louise von Franz and Jolande Jacobi). He attended some of the case colloquia that Jung gave to his students. His books include Analytical Encounter; Individuation and Narcissism and Longing for Paradise. The lecture is being organised by The Jung Club London & The Guild of Pastoral Psychology. It will take place on 20 October at 7.30pm in Notting Hill London. Please click here for more information.